We have recently been offered and accepted a job back in Perth, so we are in the midst of packing to leave Roxby Downs. It is a time of very mixed emotions – we are very sad to be leaving behind our lovely friends and small town lifestyle here but also very excited to be moving closer to family and friends …. and not to mention the excitement of being able to have loads more choice for our foods!! Place the Bananas, sugar and cornflour in the food processor and process until smooth. (Speed 6 for 10 seconds for a thermal cooker, then scrape down). Add in the No egg, milk and cinnamon and process again until well mixed and very smooth. (Start low and gradually build up to speed 6 for 20 seconds in a thermal cooker). Transfer mix to a saucepan and place over medium heat, stirring for about 12 minutes until the mixture thickens. (for a thermal cooker, mix on speed 1, 100C for about 20 mins). Serve warm or cold, topped with extra sliced banana or sprinkled with cinnamon sugar. I kept the left overs for a couple of days in the fridge in reusable squeezy containers. If you want to make a chocolate variety, just add 1 tbsp of cocoa when you are adding the cinnamon. 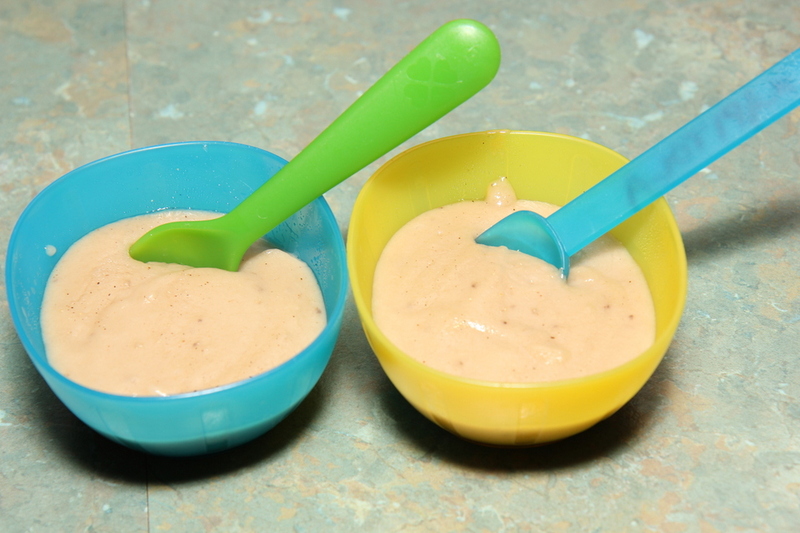 If you don’t have frozen bananas just use fresh overripe ones. Hope you enjoy your baking – I’ll be back in a few weeks from Perth! You need more high authority contextual backlinks in order to rank.